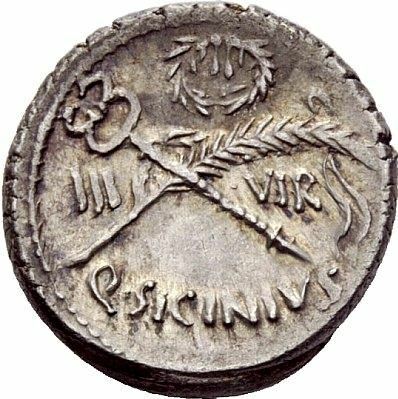 Q. Sicinius was one of the moneyers for the year 49 BC. He is not otherwise known. Gens Sicinia was a plebeian family of Rome. Ancient documentation places the name in use during the Roman Republic and the Roman Empire. This Latin name in its masculine adoptive form evolved into the modern Italian word Sicignano, a town in Salerno and surname dominant in Southern Italy, especially in Campania.